The sun may be shining now, but Vancouver looks set to have a white Christmas, with at least some flurries of snow, according to Environment Canada’s latest forecast. 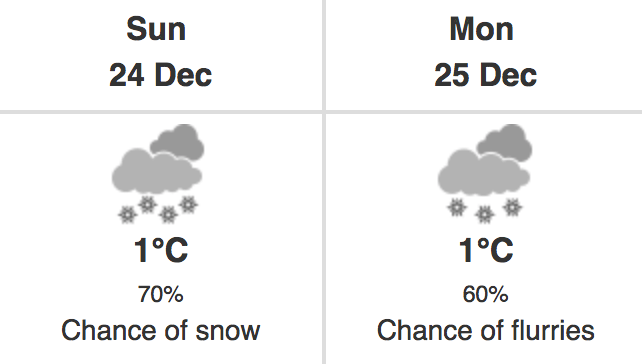 The forecast predicts a 70% chance of snow on Christmas Eve, and a 60% chance for the white stuff on Christmas Day. As we get closer to the big day, a special weather statement is now in effect, warning of the likelihood of snowfall in Metro Vancouver. All this fuss is being caused by a weak frontal system over the Pacific which is approaching the BC Coast this weekend, reaching Vancouver Island on Sunday. According to Environment Canada, a ridge of high pressure will stay over the BC Interior into at least next week, spilling arctic air into the Georgia Basin. 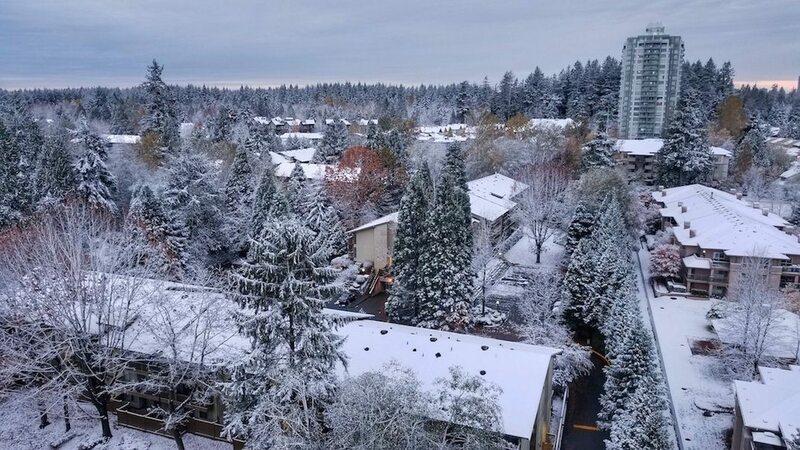 On the south coast, daytime highs will then struggle to rise above the freezing mark, which all means snow is expected to reach Vancouver on Christmas Eve night. “Confidence is increasing that snowfall amounts will range from 2 to 4 cm for the mainland and 5 to 10 cm over Vancouver Island,” says Environment Canada. The weather statement applies to Vancouver, Burnaby, New Westminster, Coquitlam, Maple Ridge, Surrey, Langley, Richmond, Delta, West Vancouver and North Vancouver.